This mini-cheesecake is baked in a foil lined miniature loaf pan (6"x 3"x 2"). The loaf pan is all one piece, so there is no concern about water leaking into the cheesecake when you bake it in a water bath, which is pretty handy!! We really enjoyed this dessert. I also have a chocolate version that I will post later. Serve it plain or top it with ANY kind of cooked fruit. 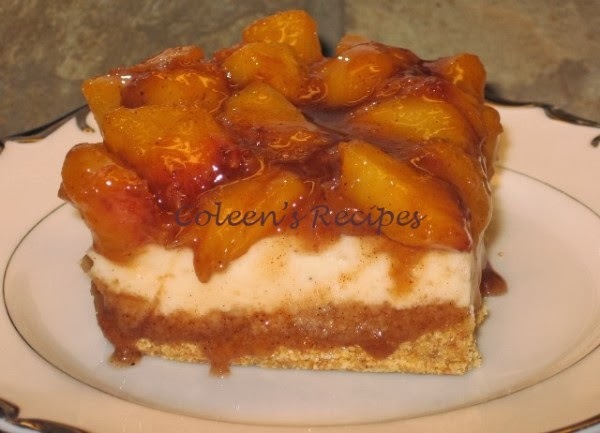 Today's cheesecake was topped with fresh peach & cinnamon. Yummy!! 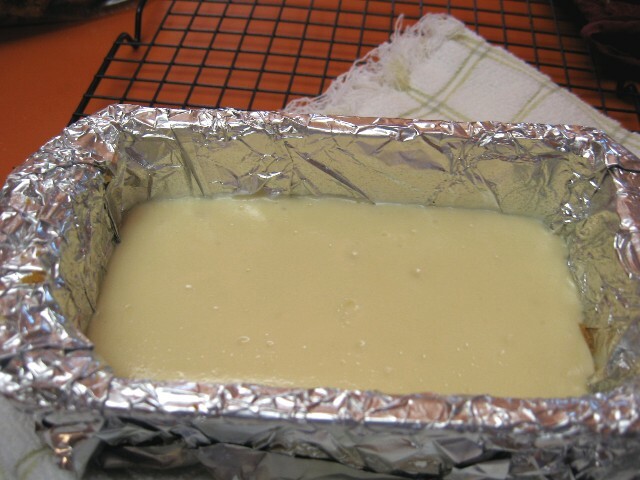 Mix the crumbs, sugar and melted butter and press them into the bottom of a 6"x 3"x 2" foil lined miniature loaf pan that has been very lightly sprayed with cooking spray. Make sure you leave enough foil hanging over the edges of the pan, to use as "handles" for lifting the cheesecake out after it is chilled. In a small bowl, beat the room temperature cream cheese, sugar and vanilla until smooth. Beat in the flour just until well mixed. Stir in the room temperature egg white. Pour mixture over graham cracker crust and spread evenly. Place loaf pan inside of an 8" or 9" cake pan and fill the round cake pan with hot water (depth of hot water should be half way up the loaf pan). Bake on center rack at 325 for 28 to 33 minutes (my oven took the full 33 minutes). Cheesecake is done when the center is set but it still jiggles just a little. Be careful when you remove this from the oven, the water is really hot. Have a towel ready to set the loaf pan on after you take it out of the water. Let the cheesecake cool (in the pan and on a rack) for about half an hour then chill in the fridge for at least 2-3 hours. To serve, lift the cheesecake out of the loaf pan by using the foil ends as lifting tabs. Cut the cheesecake in half (you will get two 3" x 3" servings), top with fruit filling and serve. Peel, pit and chop the peach. Place it, and the butter,in a small saucepan. Add the sugars, cinnamon and vanilla. Cook on medium low heat, stirring, until the peaches are half way tender (watch them, they cook quickly). 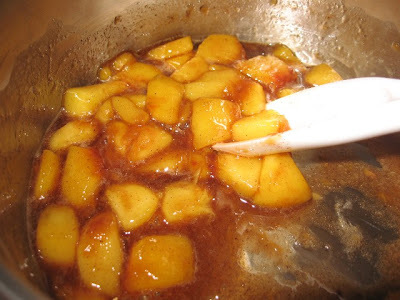 Stir the cornstarch into the water and add to the peaches while stirring. Cook until thick and bubbly (about another minute). Serve warm (or chilled) on the cheesecake. It's nice to have a two person cheesecake recipe. Love the topping! I've had such a craving for cheesecake lately. This would be perfect because I wouldn't have the temptation of a whole cake, just a taste. I'm definitely going to have to make this one and top it with cinnamon apples. I like cheesecake but Mr.h isn't a huge fan. Having only two pieces in the house is perfect! Clever to figure out a way to make this in a smll quantity - excellent for those of us with, hmmm, less than stellar will power. The peach topping looks particularly good. 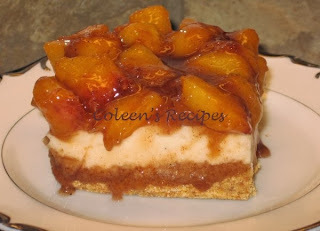 I love love love cheesecake and the peach topping reminds me of another dessert, I love peach cobbler. Thank you for combining the two. I am also loving your smaller portion recipes, for one it's only me and my boyfriend and two it keeps temptation to eat more away. 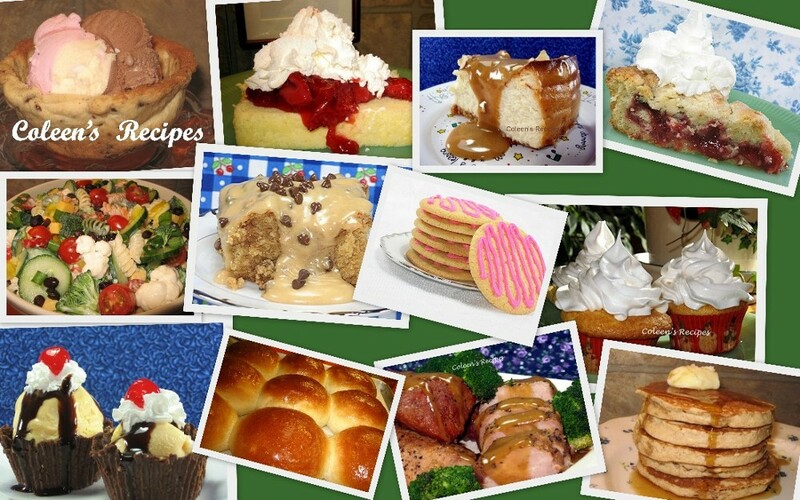 Please keep the two portion recipes coming. oh wow, that looks good! My children would love those peaches! They adore sauteed fruits especially when there's cinnamon involved. Coleen, this is absolutely brilliant!!! Do you know how many times I would have loved a PIECE of cheesecake but my favorite recipe serves like 20 or something crazy like that...waaaay too much!!! I love love love this!!! Wow that is awesome, there are just two of us and I hate making an entire cheesecake, cuz I feel like I have to eat it all!